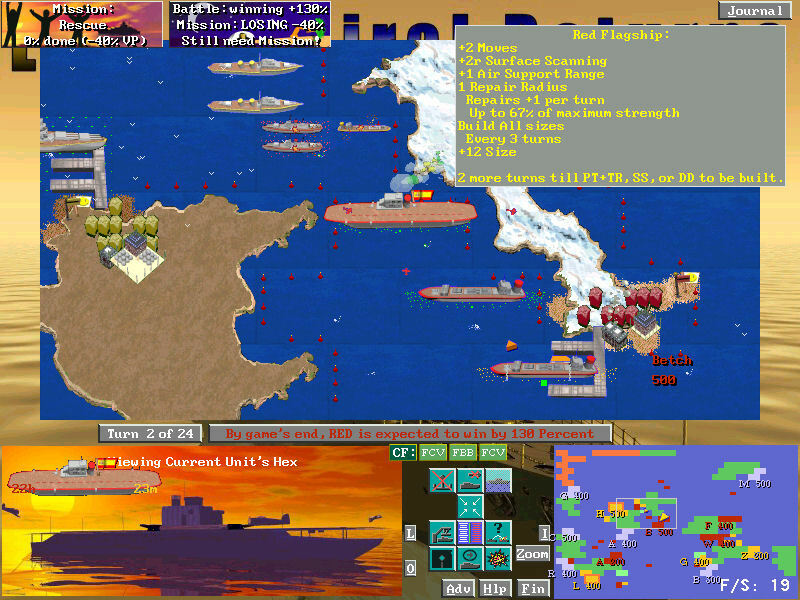 Once your starting fleet is chosen, you will start your first turn of the game. Each battle will last a certain number of turns. 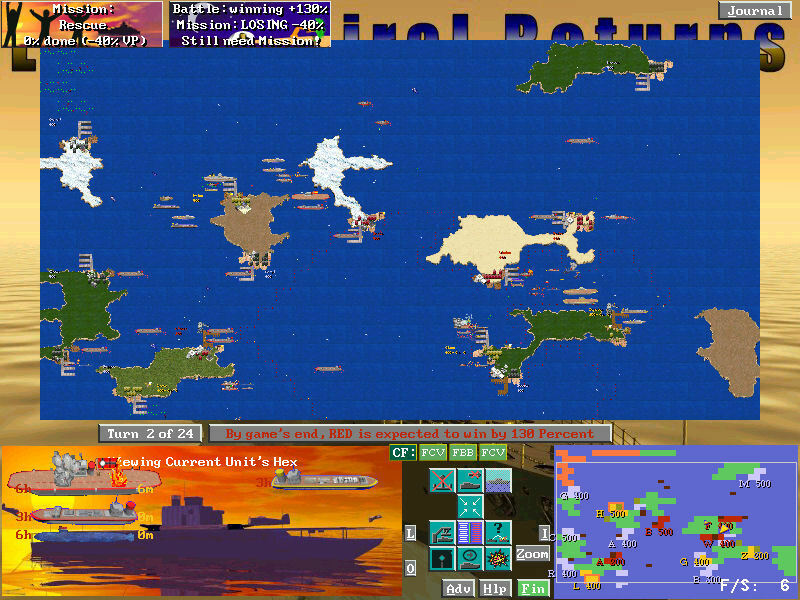 Each turn you will be able to move all your ships towards their destinations or nearby enemy ships. Keep moving your ships towards the cities you planned to conquer during your setup, and fight the enemy where ever you may find them. 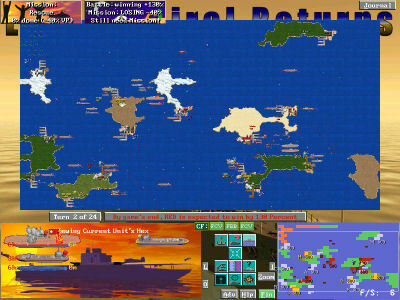 Conquer cities with transports by moving into city harbors, and fending off enemy warships and transports. Attack the enemy by scouting out their location, and moving your best warships into their location. But be prepared for the enemy's vicious retaliation during the enemy's movement turn. You can zoom out any time to get a bird's eye view of the entire oceanic battle zone. As the game progresses, you will be able to build new ships to replace the ones you have lost in combat by using the resources from cities you own. Win the battle by outmaneuvering the enemy as much as possible while claiming cities for their victory points. Even when you are hopelessly outnumbered, you can pull a victory out of defeat if you hang onto vital cities long enough for a peace fire to be declared.